Looking to read a book that will make you smarter? Want to expand on your financial knowledge or just want to get started? 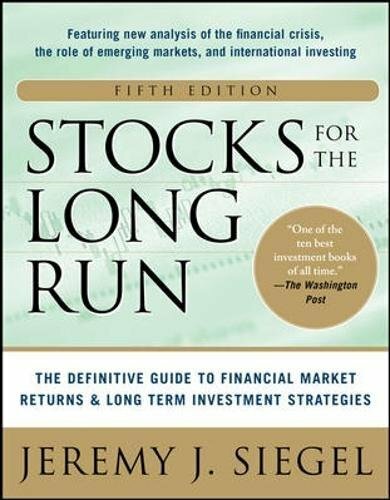 We’ve compiled a list of our favorite financial books (also accessible from the main menu at Learn/Bookshelf). These may not rival Steven King for their entertainment value, but they will cert ainly reward you for the effort. They’ll introduce you to personal, broaden your knowledge of alternative investments, and change the way you think about money. Between us we’ve read them all, but I personally have only read about half of the books on this list. Building this page prompted me to pick up Stocks for the Long Run . Thus far it’s been great. I’ll write a full review when I’m finished. For an easy read to get started, check out The Millionaire Next Door . It’s a perennial best seller and for good reason. The book is full of the real lifestyles of the rich and not so famous. The vast majority of millionaires didn’t inherit their wealth. They are self made. They live in modest houses, wear cheap watches, and drive big, but relatively inexpensive American made cars. They make their money in some interesting, but usually non-glamorous businesses. One thing they all have in common is they are really good at making their money work for them rather than the other way around. This book will put you in a true MilitaryMillions.com state of mind.